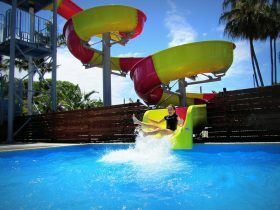 The Resort boasts simplistic back to basic cabin style accommodation, a fully licensed restaurant and bar overlooking The Great Barrier Reef with 17 pristine white sandy beaches. 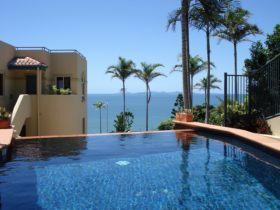 Explore private coves and pockets of fringing reef around Great Keppel Island for safe swimming, snorkelling, diving or simply lazing in the azure waters with turtles and dolphins. Hire stand-up paddle boards, kayaks or join a guided kayak or Jet Ski tour. Fish straight off the beach or jump aboard a deep water fishing trip for a fresh dinner catch. 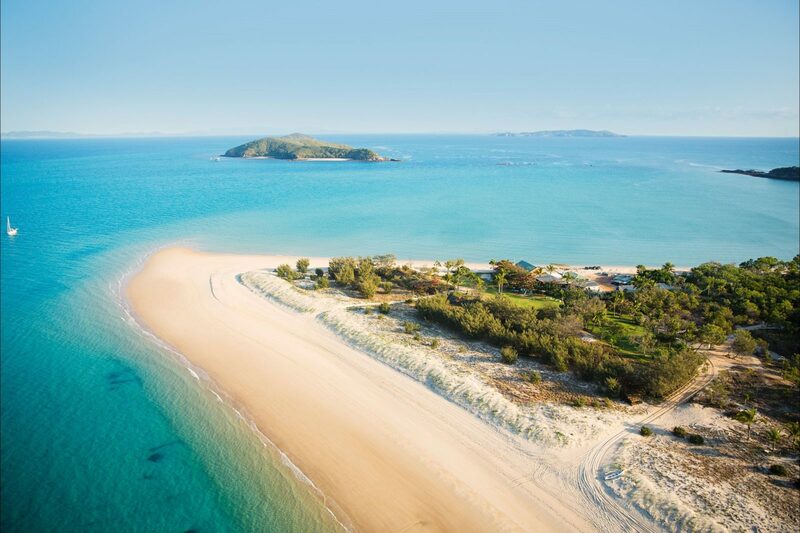 Great Keppel has stunning scenic bushwalks which disperse trekkers around the island to secluded beaches and spectacular lookouts where you can enjoy hidden island picnic spots to indulge and unwind. The animal life is prolific, with brush tailed possums, blue-tongue lizards, goannas, echidnas and a huge variety of birdlife. 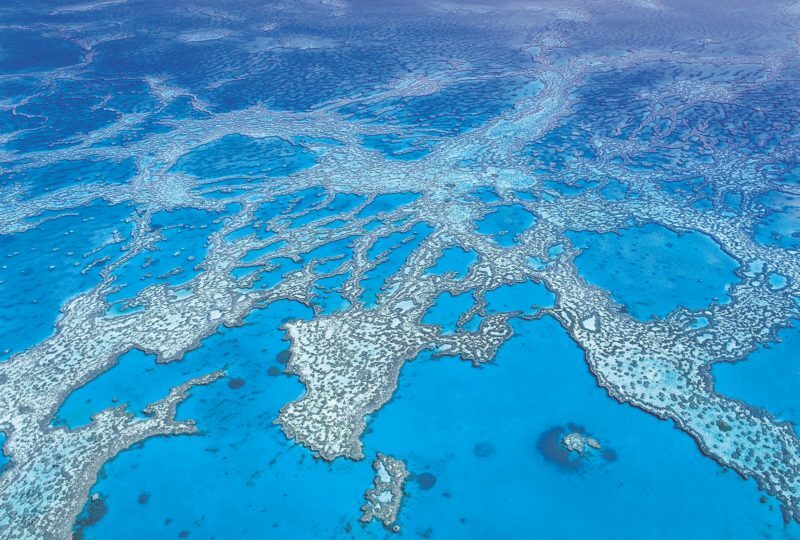 Alternatively simply relax sipping cocktails overlooking the tranquil waters of the Great Barrier Reef. For those seeking a truly budget island holiday, the tents offer basic accommodation with bed and some storage. No linen or pillows are provided in the tents. Public toilets and shower facilities are nearby. 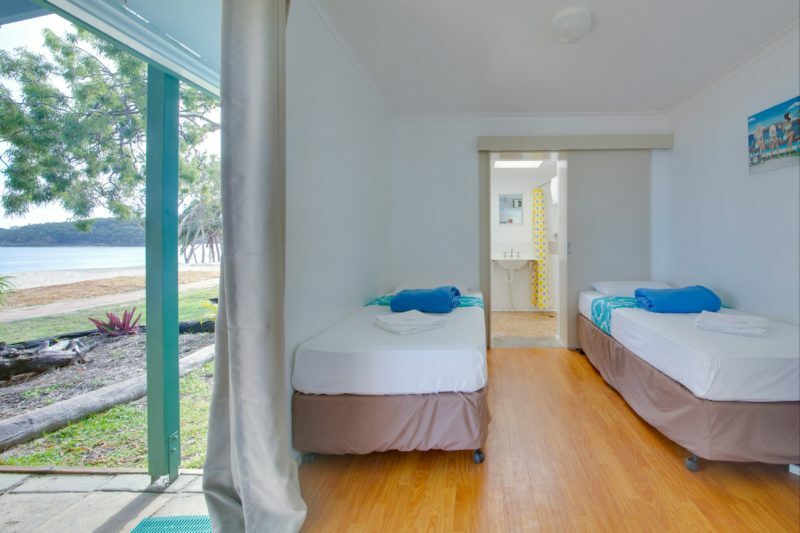 12 self contained en-suited cabins are nestled amongst sub-tropical gardens and are a short two minute stroll to the beach and the main reception area. 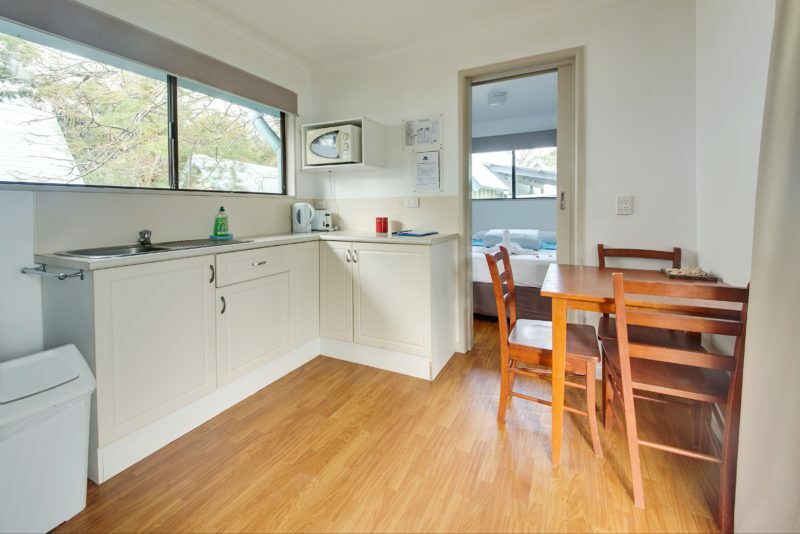 All cabins have a kitchenette with refrigerator, electric frypan, microwave, crockery and cutlery. A separate ensuite/bathroom contains a shower, basin and toilet and towels are included for the duration of your stay. 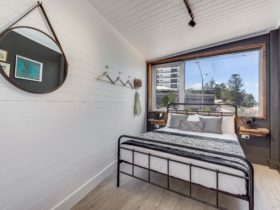 Whilst some cabins include air-conditioning, cool breezes throughout most of the year provide a comfortable setting in their sub-tropical climate. All cabins offer an outside area with either paving or decking. Relax outside your very own tropical island accommodation for a few days or longer. Situated in its own precinct within the property, five ‘yellow’ cabins each contain two spacious ensuited rooms. 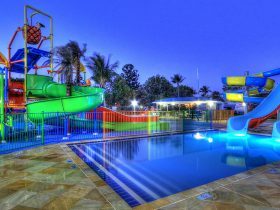 These rooms can be booked individually or as an interconnecting option for families and friends. There are ten ensuited rooms in total, each with a fan, screened windows, toilet and shower. Linen is provided (pillows, sheets, blankets and towels), so all you need to bring is your personal belongings. Whilst this accommodation option does not include a kitchen, it is only a short five minute stroll to the bar and bistro. This precinct is great for larger families or groups who want to enjoy dining out or takeaway, as opposed to self catering. And who wants to cook on their tropical island holiday anyway! Perfect for large bookings such as family re-unions, special events, sporting groups, school groups and special interest groups; they offer six bunkhouses in a private garden setting with its own camp kitchen and undercover dining area. Six separate bunkhouses offer two rooms with a shared bathroom in between, providing a total of 12 rooms and six bathrooms. Each spacious bathroom offers a shower and toilet. 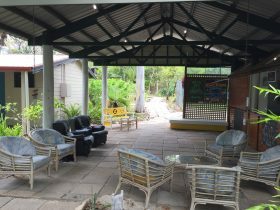 In true Queensland style, the bunkhouse rooms have high ceilings, timber louvres and fans in each room to capture the natural island breezes. Each spacious room offers two bunkbeds which can accommodate four people. A pillow and bed sheet only are provided in the bunkhouse rooms, please bring your own sleeping bag or your preferred linen. Towels are not included.